APFC Panels can effectively and automatically manage quickly changing and scattered loads along with the retention of high Power Factor. We are renowned manufacturers of APFC Panels symbolized with quality and reliability. These are available in different current ratings to cater to distinct applications. * Protection from excess power in the system. 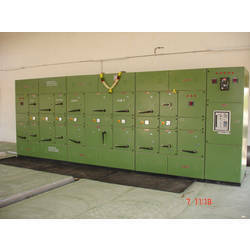 Looking for Automatic Power Factor Control (APFC) Panels ?